My husband is at a train show today so I am fending for myself. A good day for a salad. This was really good. Cook bacon in large skillet over medium heat until crisp, about 8 minutes. Transfer to paper towel-lined plate. Discard drippings. Whisk remaining 1/2 cup mayonnaise and vinegar in large bowl. 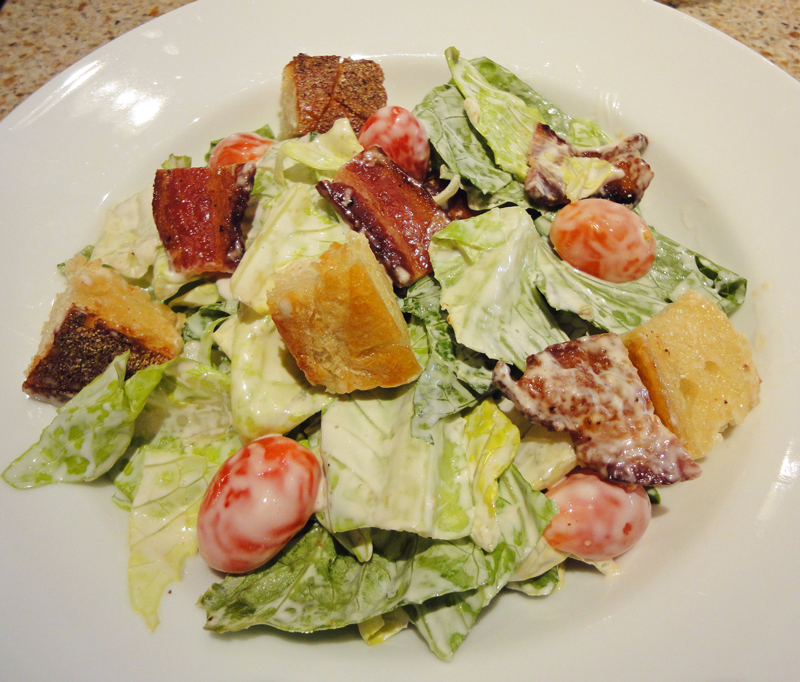 Add bacon, tomatoes, lettuce, and croutons and toss to combine. Season with salt and pepper. Serve.